Winner of PETERSEN’S 4-WHEEL & OFF-ROAD magazine’s 4×4 of the Year award, the 2016 Toyota Tacoma TRD competed against 8 other significantly revised or all-new 4x4s, SUVs, and trucks to take home the prize. The judges brought over 100 years of combined experience to the table, and their final decision shows that the Toyota Tacoma TRD has what it takes to claim the 34th annual 4×4 of the Year Award. A multitude of attributes make this mid-sized truck a must have for off-road enthusiasts. A well-tuned suspension, traction control system, rear locker, and Crawl Control work together to help the driver when they need it most. With a capable stock form, this Tacoma is ready to hill-climb and rock-crawl as is. Enthusiasts are likely to add extra-large tires, skidplates, and aftermarket suspension lift and tuning, but the truck makes a positive impression right off of the showroom floor. The 3.5L V-6 engine moves it forward over sand, snow, ice, rocks, and obstacles that slowed down or even stopped its competitors during the competition. It’s traction control system is so well-designed that it actually helps during off-roading adventures, unlike other trucks in the trial. The rear locker kept the Tacoma from getting stuck in tough mud and dirt areas of the trail. The anti-lock braking system got high marks for staying controlled on different types of terrain. 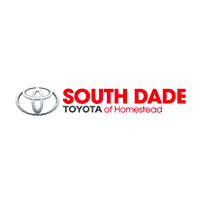 For more information about the award-winning Toyota Tacoma TRD, or to test drive one at South Dade Toyota of Homestead, please contact us.